OTTAWA, April 10, 2019 /CNW/ - Each year, more than eight million metric tons of plastic end up in the world's oceans. A major contributor to plastic waste is lost and abandoned fishing gear, also known as ghost gear. Ghost gear is one of the deadliest forms of plastic debris, and has a damaging impact on marine animals like whales and turtles, the coastal and marine environment, and global fishing stocks. "In our modern world, the economy and the environment must go hand in hand. We know that lost and abandoned fishing gear harms marine life, and has damaging environmental and economic impacts for our coastal communities and industries. The innovative solutions offered by Ashored Innovations and Goodwood Plastics Products are great examples of how small business opportunities spark innovation and hopefully inspire other businesses to rise to the challenge. We are pleased to help support these small businesses and look forward to more companies developing novel solutions to commercialize innovation while contributing to environmental sustainability." "Our government leverages its enormous purchasing power to ensure Canadian small businesses can grow and innovate. We're turning to Canadians for their best ideas to solve government challenges. Whether it's about finding ways to improve plastic wood lumber products or making fishing systems safer, we're investing in Canadian-made solutions." "There are significant opportunities for our coastal communities in a changing global market that places a high value on sustainably sourced seafood. To benefit from these changes, fishermen need practical tools that work when and where they do. 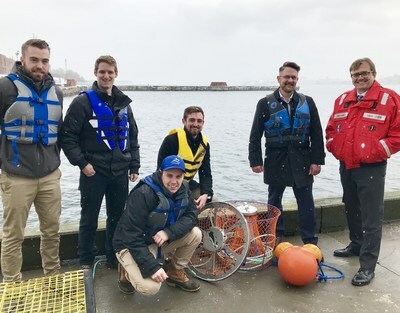 Thanks to funding partners like Fisheries and Oceans Canada, Ashored is working with fishermen in each region to first understand and then deliver on the tools they need to thrive in this new age of fishing." 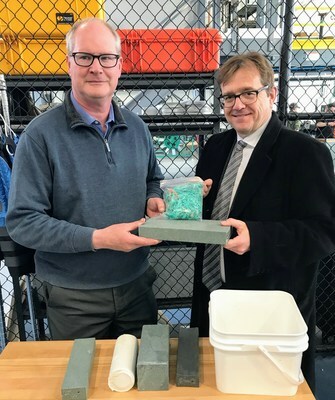 "This grant will help Goodwood Plastic Products to further develop our made-in-Nova Scotia solution to the worldwide problem of plastic waste by adding value to end-of-life fishing gear such as ropes and nets. Rather than being dumped in a landfill or even worse, ending up as marine debris, these plastic resources can be manufactured into durable, long lasting boards and timbers that can be used to build safe and functional harbour infrastructure, further supporting the commercial fishing industry in Atlantic Canada." 92% of encounters between marine animals and debris can cause lethal problems, including ingestion and entanglement and debris can cause lethal problems, including ingestion and entanglement. In support of the Government of Canada's Greening Government Strategy, Fisheries and Oceans Canada and the Canadian Coast Guard became the first federal Department to reduce the purchase and use of single-use plastics by implementing the Policy to Restrict the Procurement and Use of Single-Use Plastic.